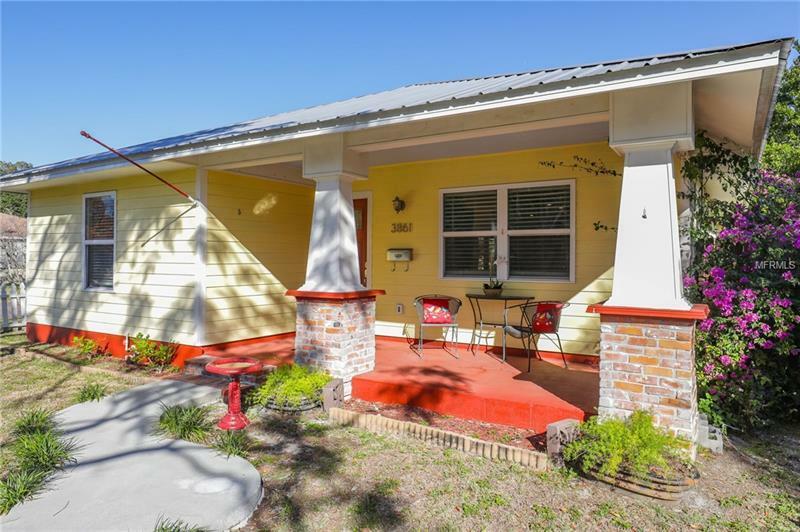 Located on Brick Streets in High and Dry, Central Oak Park neighborhood. No flood insurance needed. Save more money on insurance with a metal roof discount and updated electric and plumbing. Hardie board siding protecting the outside for a long lasting finish that wards off termites. So much of this house was updated you would swear it is new. This property has been stripped down and totally renovated and put many extras back like the metal roof, spray foam insulation in all the exterior walls, solid oak floors and so much more. Less than 10 minutes to downtown St. Petersburg and just as quick to Florida's best beaches! Detached 1 Bedroom, 1 bath apartment is ready for your guests or make it income producing. 3rd Bedroom is currently used as office. Owner will provide french doors to close in if requested. The choice is yours so make it a point to view quickly.